Fingers crossed Summer is here and so is festival season, summer holiday season and Children running -free- with- no- school season!! ( That last one I particularly love). Summer is busy, everyone is rushing and we all get hot and bothered. This is where I find SBC Gels to absolutely come into their own. Celebrating 25 years of Practical Effective Affordable Skincare, SBC really are a company to be trusted and appear inmany homes! An amazing British brand with a fabulous History, they really know what they are talking about with their amazing Range of brightly coloured, blendable, almost prescriptive Gels, that really do contain something for everyone. I have previously blogged about Arnica and Propolis and what an absolute family favourite they are. However, this new collection, put together just for QVCUK, really is amazing and has something for the whole family for Home and Away! I love the sleek design of the packaging from SBC, simple and effective with great pump dispensers to easily and hygienically get the amount of product out that is needed. SBC prefer to put all their money into the product rather than expensive looking packaging. I think this simple design really works as you can easily see how much product you have left for re-purchase and also once you get used to the fabulous colours, its quick and easy to select what you need at a glance. In this collection *SBC 8 Piece Seasonal Gel and Shower Collection , you receive. four large 500ml Gels then the same Gels again in a portable 100ml size. These are fantastic for holidays, first aid kits, days out, you name it . As a parent I always have the Arnica in my bag and used to decant from my large bottle into portable containers ,so these are fab. Great for the big summer holidays that are looming. 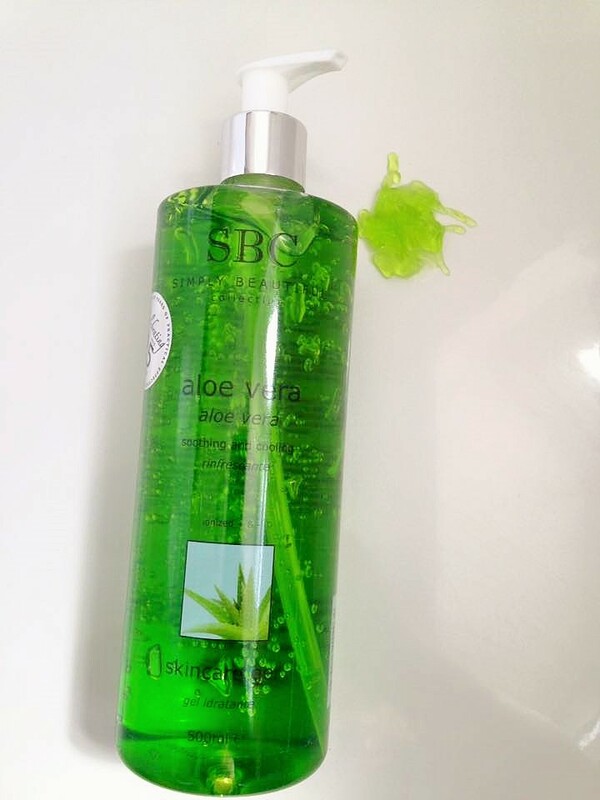 Aloe Vera Gel 500ml & 100ml – I enjoy using this gel so much it is my go to in all seasons, because it has so many cooling and healing benefits. This Gel is amazing after shaving and can be used by everyone! After I have shaved my legs, I apply it straight away to cool down the area and reduce redness, it is also fabulous after waxing! This Gel is especially great ( and I know we have all done this at some point ) when you have used a old razor on your legs – that you think has one last shave in it – and its has “burned” them and left them red! I know! I know! Not nice but I found them easily cooled and calmed after applying the gel! Obviously if you have any nicks or cuts then do not apply it over that area. Its fabulous on sunburn and wind chill so great in winter after a lovely walk, works lovely on the face and cheeks and leaves them feeling calmed and soothed, and also after a day in the sun. If you feelhot and have accidently caught too much sun (tut! tut!) then this can be applied straight to the area for instant relief. The Gel rubs in very quickly and easily, leaving no sticky residue and has a lovely fresh smell. The aroma soon fades away so will not interfere with any perfumed products that you apply after. Definitely one for the beach bag, holidays and summer days out. 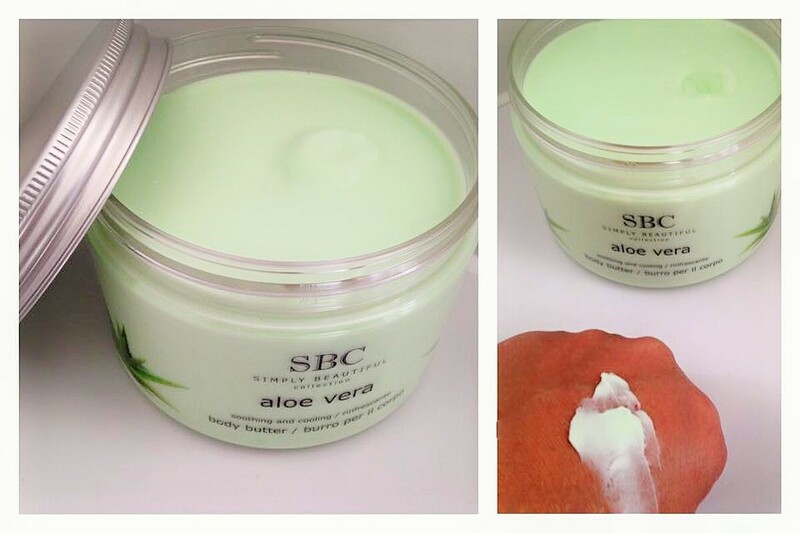 Not included in this set but something I had to mention as the perfect accompaniment to use with The Aloe Vera Gel, is the gorgeous, rich, creamy Aloe Vera Body Butter!! Wow, these pots are huge 450ml in size and a 12 month opened shelf life, you really can be generous and indulge in some serious moisture preservation! This body butter contains Aloe Vera, Cucumber,Shea Butter, Vitamin E, Citrus Limon and Advocado oils. Its so lovely to use this body butter during those hot summer months, in conjunction with the Aloe Vera Gel to cool, hydrate, smooth and soften the skin. It feels AMAZING!! Luxurious, creamy, nourishing and smells beautiful! To me it smells like being outside in a zen garden….I really pick up the cool cucumber notes. I adore this so much and would put it in my top three body butters! Collagen Gel 500ml & 100ml – Ok Rewind a bit…yes I said Collagen Gel. This Gel is beautiful!!! Collagen is Amazing!!! I cannot even begin to tell you how many people I have bought These Collagen Gels for! Why? Because personally on me I know it works for my skin and I receive so many compliments. Used regularly my skin is definitely looking firmer, my forehead lines less visible and across my stomach marks from pregnancy have definitely faded with regular use. I know everybody’s skin is different but personally my results have been amazing. It is fantastic to deal with the exsisiting signs of ageing, wonderful on Crows feet around the eyes, it can also be used as a relaxing eye mask by squeezing a generous amount of this gorgeous pink Gel onto a cotton pad, fold in half and place under the eyes around the area where you may get dark circles! My dad – in his late 6o’s – also adds a pump of Arnica to his cotton pad and puts under his eyes and this helps with swollen under eye bags and dark circles and gives him amazing results.You really can play around, mix and match and find your own unique blend of gels for you.Collagen is a naturally occurring protein in all our ligaments and connective tissues and skin, as we get older our Collagen levels signicficantly decrease, therefore leaving some of us with dry, creapy, ageing, droopy skin. This Gel is in such a huge size that you really can slather it on everywhere, I use this across my stomach, thighs and “bingo wings” and really massage it in well to help give a firming feel. I use it on my face, paying particular attention, on me, to my forehead and lip lines. it smoothes in so easily, again leaves no sticky residue, I am able to apply make up straight away or get dressed straight after applying to my body no problem. The great thing about these Gels is if you already have a bodylotion that you absolutely love, then why not add a pump of this to that lotion? Everybody could do with extra Collagen so this is an amazing way of adding it. 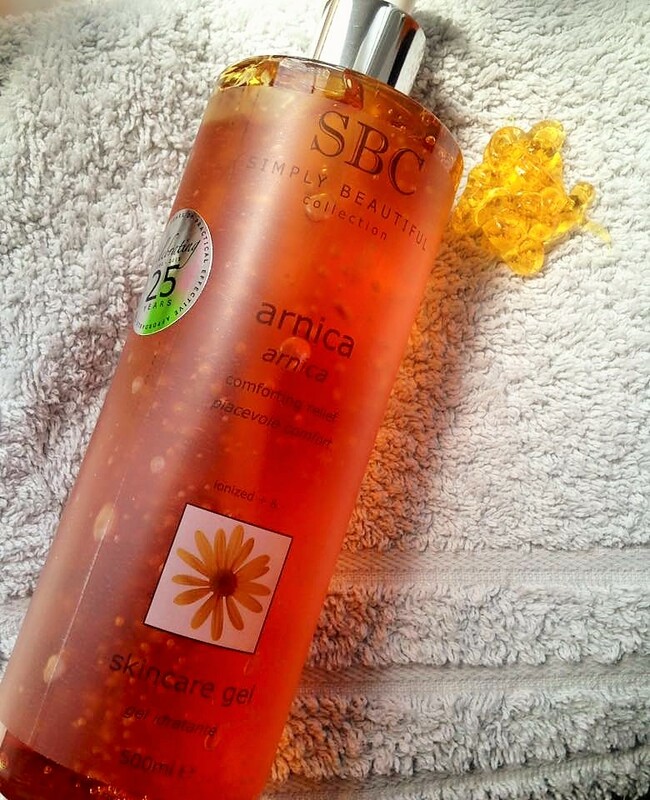 Arnica Gel 500ml & 100ml – Arnica, Arnica, Arnica!! Ok, as mentioned before I have previously blogged about this product here. I love it and have been using it on my family for at least 16 years so I think it is safe to say I am a fanatic!. This was the first product I ever tried from SBC and for many years the only one. As I was so impressed by its ease of use, ingrediants and integrity, I moved further into the range. In my option Arnica is way up there as my top notch Medicine cupboard staple. Obviously it would be wrong of me to sit here and state all the medicinal things it can do because it really is a personal thing, however I can tell you how it helps me. This is an amazing Gel for treating your wellbeing. If you have any aches and pains in your body you can rub this Gel in and it really helps get into the soft tissues and gives so much relief. If you are lucky enough to have someone massaging it in for you it is wonderful to use, there is no redness, no dragging, it is very easy to massage in and sinks in without being sticky, it is great for flushing out toxins using lymphatic drainage and you can use it as many times per day as needed. If I have lots of pain in my neck and no one around to help, I sometimes put a few pumps on a towel or cloth and just lay it across my shoulder or back of the neck and leave it to sink it. Its great to use on children on bruises and bumps and Really an amazing all round product. School summer holidays this is my must have and whenever we are out with friends its me they turn to for “the magic lotion” hahaha! 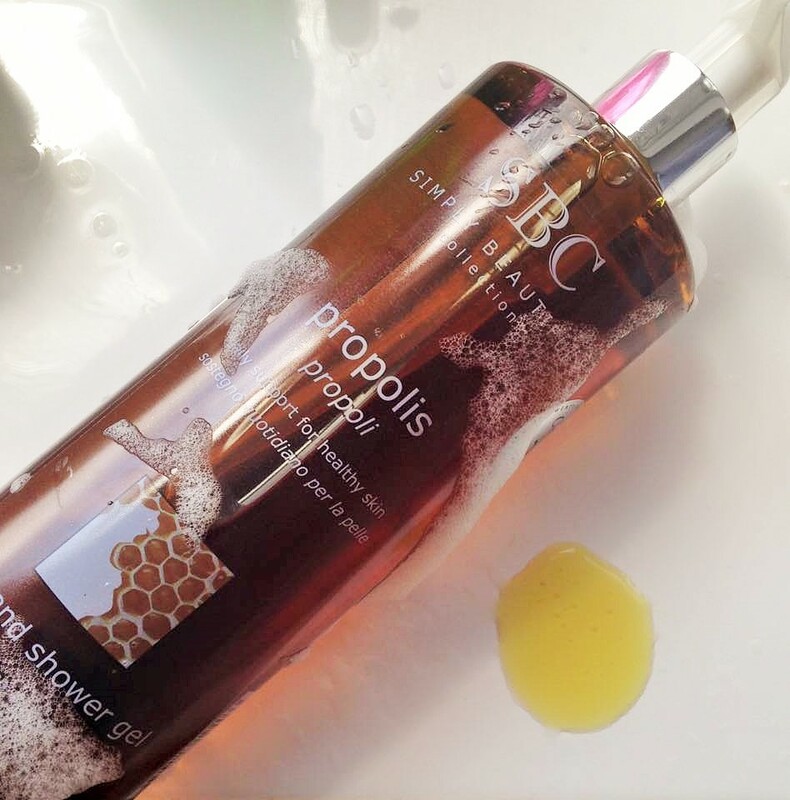 Propolis Bath & Shower Gel 500ml & 100ml – Propolis is an amazing mixture of sap picked up from plants and botanical sources that Honey bees collect to seal and protect their hives. SBC have managed to combine this beautiful, special and very expensive product into a gorgeous bath and shower gel, with amazing results. The smell is wonderful, it has a hint of honey, and almost vanilla scent to it and when used on a shower sponge, creates a gorgeous gentle lather. This is beautiful to use when you need to feel extra clean, or if you have skin that may be prone to breakouts as it really helps keep the area clean and hydrated. It is a hard worker too so great to use if you have been doing any dirty, dusty, muddy work, gardening, working outside anything really when you just want to feel extra clean and cocooned. Its also great on scrapes and grazes, I bathe my youngest in it when he has been in the garden all day, or at the beach or just generally being a boy haha!! I add a few pumps under running water and also to his wash cloth. The 100ml is great to keep next to the sink as well as it is great as a hand wash. Again another amazing all round family product. Having the smaller size in this collection too means it is fab in wash bags of all ages when travelling etc. These Products are wonderful to look at and amazing to use. They have a 1 year shelf life opened and should not be displayed near a window. Mine are dotted around everywhere, bathroom shelf, medicine cabinet, bedroom, travel bags. I really couldn’t be without them. Also remember that the smaller 100ml bottles can be reused when empty so you can decant into them again and again. I would love to hear your thoughts! 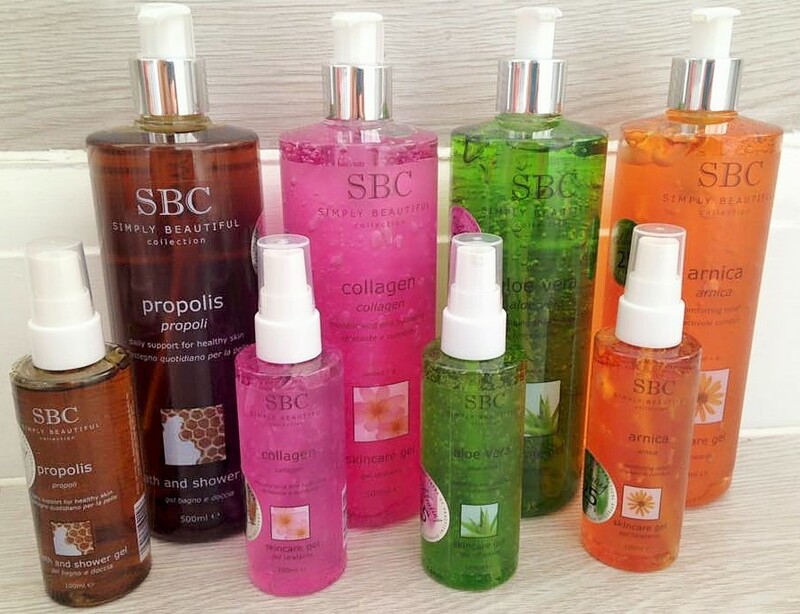 Which SBC products do you love and why? Or will this be your first purchase? Let me know by leaving a comment below, or tweeting me @backtoyoubeauty, joining my facebook page www.facebook.com/backtoyoubeauty, or emailing me on the link at the top right of this page. 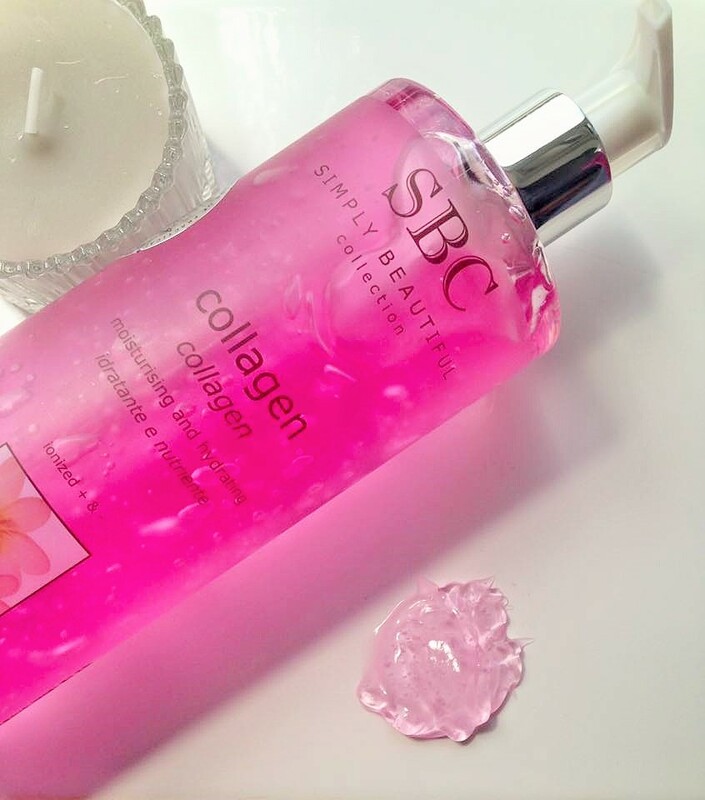 I love SBC collagen, got one from a bloggers event, would love to try the rest but they are so expensive. Aw, this was a really good post. Taking a few minutes and actual effort to generate a top notch article… but what can I say… I procrastinate a lot and don't manage to get anything done.